The USB RFID Reader allows solutions developers to support applications that require desktop reading and writing of 13.56 RFID tags (M1). 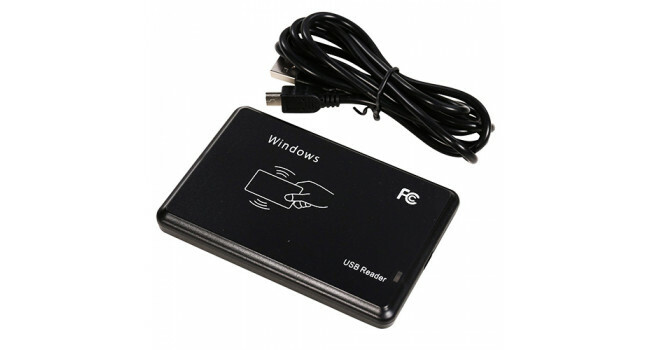 The USB RFID Reader is controlled by, and powered from, a host PC or laptop through a USB interface. It can be widely applied in many RFID application systems such as logistics, personnel identification, conference attendance system, access control, anti-counterfeit and industrial production process control system as it is small and compact allowing easy transportation. 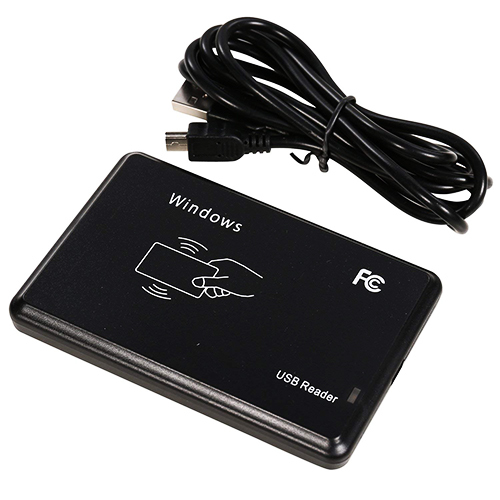 The RFID reader Supports 14443A, S50(1K) S70(4K), and supports Windows 8 or under ME.2000.ME.NT.XP, LIUNX, Android Operating System.